Welcome to The Prince of Wales Backpacker Pubs! You are currently on the Boat Quay booking page - for our Little India outlet please search simply for for 'Prince of Wales Singapore'. 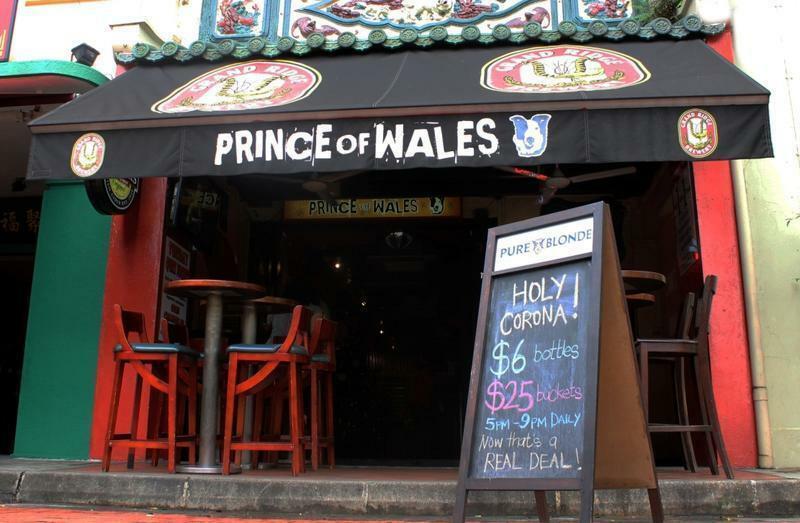 At the Prince of Wales hostels we pride ourselves on being fun places to stay whilst in Singapore, providing a clean, friendly environment with entertainment every night! We are also proud to be the first and only hostels in Singapore to use Certified Anti-Bedbugs mattresses. We also provide: bed linen; coin operated laundry facilities; large 'waterfall' shower-heads; free internet and wi-fi; light breakfast; discount on food and drinks at the bar. from RAFFLES PLACE MRT station (train). Exit and head directly to the river. Turn left at the river and walk along Boat Quay. We are halfway along (4 mins walk) at number 51. Turn right at the river and walk along, using two underpasses at the bridges. After second bridge is BOAT QUAY. We are halfway along at number 51 (roughly 6 mins walk total). Head to CIRCULAR ROAD TAXI STAND, BOAT QUAY.